I often get asked how one can tell if they are financially healthy. It’s easy to assume that a person who has $1,000,000 in net worth or who makes $150,000 a year, is financially better off than someone who has $300,000 and whose annual salary is $75,000. But a number in isolation won’t tell you much. Suppose the person who has $1 million also has $1 million of debt. Doesn’t sound like they’re financially healthy does it? It’s not what you make, it’s what you keep and it’s what you do with the money that matters. Below you’ll find five personal finance ratios and figures that will give you much better insight into your financial condition and pinpoint where you need to pay greater attention. 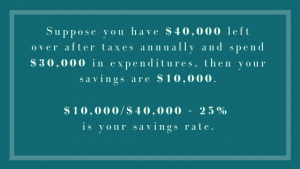 The savings ratio tells you the amount you’re putting away as savings. You can calculate your savings based on what you already have (in your savings account, fixed deposits etc.) 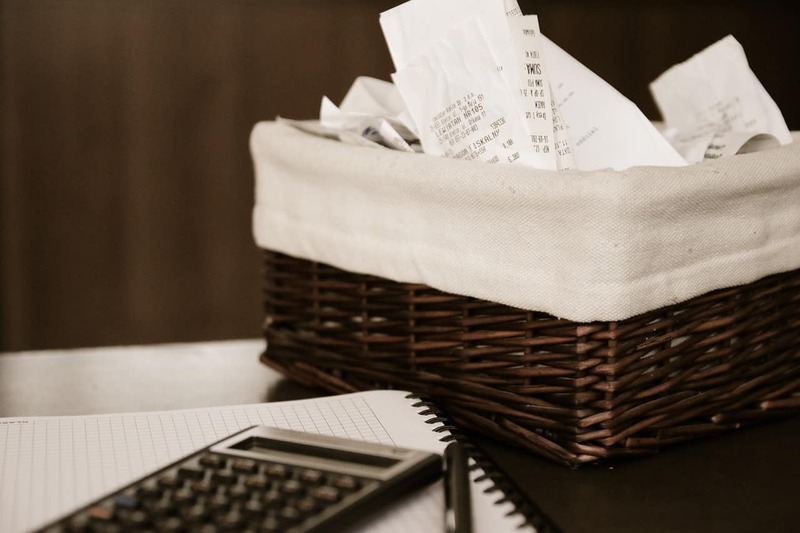 to see if you’ve been saving enough, or you can do it on a monthly or even annual basis by taking your disposable income and subtracting all your expenses (i.e. housing costs, utilities, credit card & debt payments) to see how you’re currently tracking. Rule of Thumb: You want a minimum savings ratio of 10%. Anything less is a big red flag you’re headed for trouble. Certainly a 20% ratio or more is ideal. The budgeting ratio serves as a guideline on how you should allocate your income. I use guideline because everyone’s situation is unique. However, if you stick to this allocation more or less, you have a very high probably of being financially secure. The Savings can be towards a combination of your retirement, emergency fund or other financial goals. Your necessities include your essential housing costs, utilities, food, transportation etc… And then think of the 30% on wants as your fun and desire bucket. You can go to the movies, out for dinner or splurge on those pair of shoes without guilt. That’s because you’ve taken the care of the rest. Your net worth tells you how much your worth, or if you had to liquidate everything, how much money you’d end up having in your pocket. Rule of Thumb: Its normal to have a low net worth when you’re young, but you want to aim for growing this net worth long-term. While you may have some years where it dips, measure your trend in terms of five year chunks to see if and by how much your overall net worth is going up. This ratio will give you and your creditors an indication of your ability to repay the money you’ve borrowed. Your debt payments includes all the money your obligated to pay on a monthly basis (i.e. mortgage, personal loans, car loans, minimum credit card payments). Your gross monthly income is all the income sources you receive before taxes (i.e. salary, government pensions, alimony, rental income). Rule of Thumb: A DTI ratio of 35% or less is a very good number. A DTI ratio of between 35% to 43% is manageable. Anything above 43% will be of concern to creditors. I love this ratio because it can help you understand whether you should pay down your debt or invest – which is by far the most common question I get asked. Personal Cost of Debt = (Amount of Loan A / Total Debt) x (Interest Rate for Loan A) + (Amount of Loan B / Total Debt) x (Interest Rate for Loan B) + …. Here is a visual example of how you’d calculate your personal cost of debt. Rule of Thumb: The long-term average return for the stock market has been between 5-7%. So in the case above, where your weighted interest rate is much higher at 9.75%, you’re much better off paying off your debt, starting with the highest interest rate debt first (credit card debt usually come with very high interest payments). When you can get your personal cost of debt to below 5%, that’s when you can think about investing money in the stock market or other financial vehicles that will give you a greater return on your money than the cost of debt. Next PostThe Canuck Conundrum: RRSPs or TFSAs?